Mohammad Naqeeb Naqibullah Arween Naqib Arwen Arwin is a poet and writer. He was a spokesman for the Herat provincial governor (20090224). 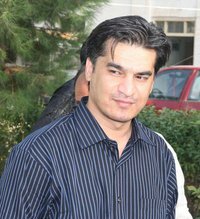 Naqibullah Arwin is the brother of Independent Election Commission commissioner Mrs. Wasima Badghisi. He received 7,306 votes in Wolesi Jirga election 2018 and did not get a seat in WJ 2018.